“Not a single drop of oil” would touch California, Lt. Gov. Gavin Newsom warned Command-in-Chief. SACRAMENTO — A Battle Royale between the largest state in the union and the White House has created an environment where California’s policymakers are borrowing a page from the NIMBY playbook. The issue state legislators are angling to keep out of California’s backyard: offshore drilling. California was not alone in challenging Trump’s offshore drilling plan – the governors of Oregon and Washington, for example, joined Gov. Jerry Brown in stating they don’t want new oil and gas exploration leases issued in federal waters off the Pacific states. The issue is murkier in Maine, however, where the state’s two senators oppose Trump’s plans but their governor is taking the lead in advocating for offshore drilling. Those opposed to offshore drilling argue its bad for the environment and there are cheaper and safer energy alternatives to explore. 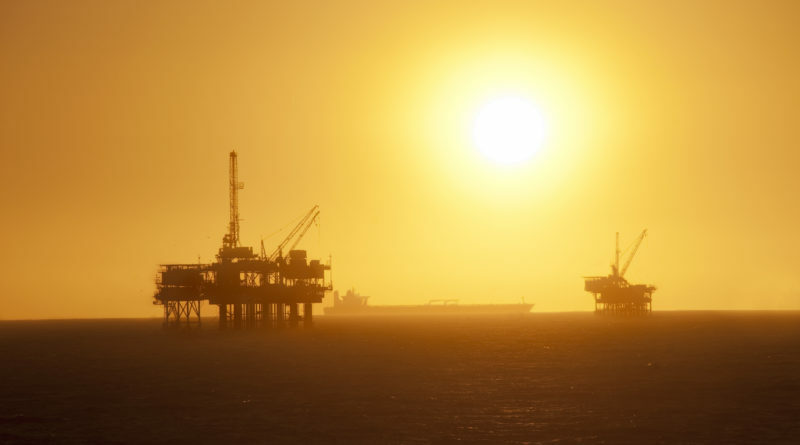 Proponents, conversely, say pursuing new offshore drilling opportunities is necessary to provide jobs and for the United States to establish itself as an energy powerhouse. Jumping into the fray is the California State Lands Commission, which has taken a hard-line stance against offshore drilling. A Feb. 7 letter sent from California’s State Lands Commission to the Bureau of Ocean Energy Management in suburban Washington, D.C., explained why the most populous state in the union would challenge Trump’s plan to expand offshore drilling opportunities in federal waters. Pursuing offshore drilling opportunities on the Pacific Outer Continental Shelf is an outdated plan, commissioners added. Interior Secretary Ryan Zinke, in outlining Trump’s plan to pursue offshore drilling opportunities as part of an effort to ramp up the nation’s energy independence, stated the Pacific Outer Continental Shelf could be home to six new oil extraction locations. “The premise of the proposed leasing program is that extracting oil and gas from the nation’s ocean benefit the economy, but tapping into the ocean for oil development is folly – the fossil fuel era is ending, and California is not interested in the boom-or-bust oil economy,” commissioners stated in their letter to Hammerle. The Interior Department stated it would actively pursue public comment on its five-year plan to pursue offshore drilling opportunities, but the State Lands Commission pointed out only one meeting was scheduled for all of California. That hearing was held Feb. 8 in Sacramento. In all 23 public hearings on Trump’s offshore drilling plan were already held or scheduled – most of which were or will be held in non-coastal communities. All but one public hearing on the locations list are the state capitols of Alabama, Alaska, California, Connecticut, Delaware, Florida, Georgia, Louisiana, Maine, Maryland, Massachusetts, Mississippi, New Jersey, New Hampshire, New York, North Carolina, Oregon, Rhode Island, South Carolina, Texas, Virginia and Washington state; the 23rd location is Washington, D.C.
Public hearings will continue through March 8. The Interior Department’s draft plan stated as many as 47 lease sites – including six in federal waters off the California coast – could be pursued. Nearly 90 billion barrels of undiscovered and recoverable oil, in addition to nearly 330 trillion cubic feet of undiscovered and recoverable natural gas exists within the U.S.’s Outer Continental Shelf, according to the Outer Continental Shelf Governors Coalition. The coalition, which is made up of seven governors, supports Trump’s policy proposal to explore offshore drilling opportunities. One the members is Maine Gov. Paul LePage, who favors the pursuit of offshore drilling opportunities despite vocal opposition to the plan from his state’s two U.S. senators. Five of the coalition’s seven members – LePage, Alabama Gov. Kay Ivey, Alaska Gov. Bill Walker, Mississippi Gov. Phil Bryant and Texas Gov. Greg Abbott – signed off on a letter, dated Aug. 17, 2017, urging the federal government to pursue offshore drilling opportunities. Exploring offshore drilling opportunities is essential to job creation, energy independence and tax revenues, according to the coalition’s letter. Offshore drilling in the Gulf of Mexico, for example, supported about 650,000 jobs, yielded $64 billion in annual Gross Domestic Product and resulted in an estimated $7 billion in revenues for the federal government during the fiscal year 2014, the OCS Governors Coalition letter stated. California, however, is ardent in its opposition to new offshore drilling in federal waters off its coastline. The State Lands Commission took a stand on offshore drilling toward the end of 2017, when the quasi-judicial state agency voted to end oil drilling and production at Rincon Island in Ventura County. Greka Energy subsidiary Rincon Island Limited Partnership held a lease on the offshore drilling location since November 2014. The lease was revoked three years later, when the commission, in December 2017, stated it had discovered regulatory violations at the drilling site. Rincon Island is located in Mussel Shoals, just off the 101 Freeway between Ventura and Santa Barbara. Offshore drilling leases have been banned within California waters; the state has not issued an oil and gas lease since 1968. Much of California’s opposition to offshore drilling and oil/gas leases stems from a 1969 oil spill in Santa Barbara. Lt. Gov. Gavin Newsom, State Controller Betty Yee and Director of Finance Michael Cohen head California’s State Lands Commission.